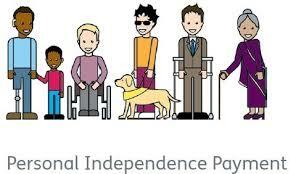 Government to review 1.6m Personal Independence Payment claims – what does it mean to you? In March 2017, the government changed the Personal Independence Payment (PIP) rules. This made it harder for people with mental health conditions to qualify for the mobility component. In December 2017, the High Court found that these changes unlawfully discriminated against some disabled people. Initially, the government intended to appeal the Court’s decision but it has now decided against this. The government are now required to amend the PIP rules to ensure that people with mental health conditions once again qualify for the mobility component. The government has also said it will identify all claimants who lost out as a result of the changes introduced in March 2017 and will ensure that mobility payments are backdated in those cases. All 1.6 million people receiving PIP will have their claim reviewed, up to 220,000 of these could receive back dated higher rewards. There will be no face to face reassessments of awards. The PIP changes haven’t been made yet, and the Department for Work and Pensions (DWP) is unable to confirm the exact date this will happen. Anyone applying for PIP in the meantime will be contacted once they have been implemented if they are eligible for more support. If you receive PIP and think you may be eligible to the back dated higher award, you do not have to do anything. The DWP has confirmed that you will be contacted in due course.